I came up with a new non-sweary swear today. 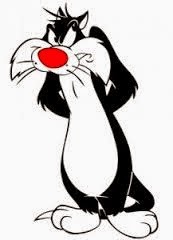 It was a tweak of Sylvester the cat’s “Sufferin’ succotash”. “Perseveratin’ balderdash!” hasn’t quite got the same ring to it, but saying it to myself in a lispy cartoon moggy voice possibly saved my sanity (although if anyone had overheard they would have thought otherwise). You see, my daughter has been putting the persevere into perseveration this week. (Perseveration is the uncontrollable repetition of certain phrases and questions. It’s a common trait with Prader-Willi Syndrome. She’s done it forever, and ever, and ever, and ever, and ever, and ever...well, you get the idea). Some of her questions and mantras have been around for a while, but what I realised today that one in particular is growing. It is having extensions added to it. So I’ve started to have this thought. It’s kind of wicked. I’m going to have to think carefully about it, because it has every chance of backfiring. But I’ve realised that I probably have the power to shape the continuing growth of the Tooth Chronicles. What will the next clause be? And can I lob in something random, just to amuse myself? Any parent or carer of a disabled child is used to forms. But that doesn’t make them any easier. There’s this underlying anxiety that the next time you fill out the form, the criteria will have changed, the rulebook will have been rewritten, and your child’s difficulties will be judged differently. And then you start to wonder how on earth you’ll manage financially if the safety net of support for the disabled is downsized, loosened, or whipped away. I tend to picture myself landing face-first in the sawdust like Burt Lancaster in Trapeze. Sadly, I do mean Burt. 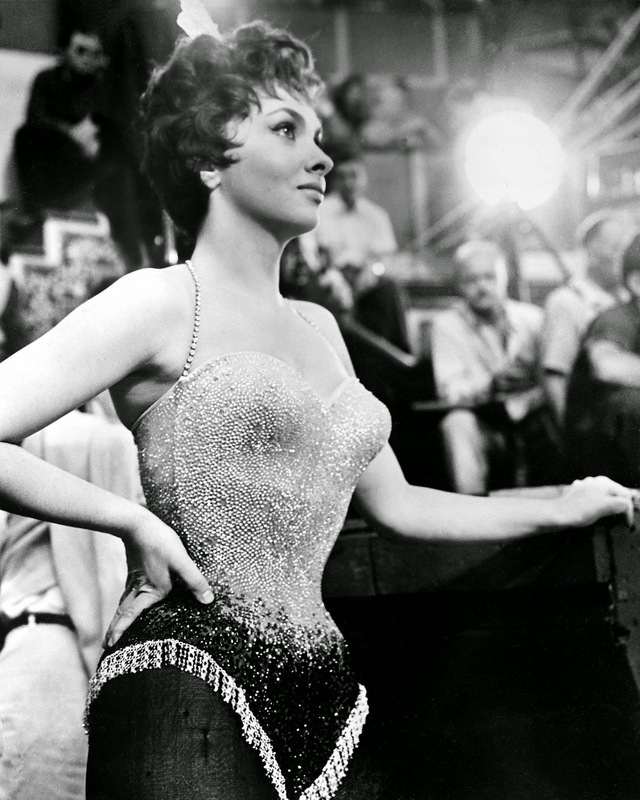 I look more like him than I do Gina Lollobrigida. Over the last few years I’ve filled out a few hundred pages of Disability Living Allowance forms. It has destroyed a little piece of me every time I’ve done it. Because when it comes to spending hours poring over the minutiae of a DLA application, there’s this thing you have to do: go negative. It’s a toxic process. You flip everything onto its head. Instead of the necessary positivity you need to cope with the challenges of disability, instead of the joy you take in every achievement, however minor, you have to wallow in what your child can’t do. My daughter turned 16 in October. So I knew there was a formidable form on the way. As someone with a disability who was previously claiming DLA, her 16th birthday meant she would now be ‘switched’ to something called the Personal Independence Payment (PIP). [*Two things: 1) They’ve been paying DLA for a good number of years now, so you would have thought the ID part would have been a given. 2) I think the sight of my teenager reading a Topsy and Tim book may have provided some clues for our visitor]. We were told to expect a PIP form once my girl’s birthday had passed. I’ve been preparing a little bit by downloading a 46-page guidance document from Disability Rights UK, because, hey, I know how to spend a fun evening or two. The big brown envelope hit the mat this week. My heart sank, but I tried to convince myself I was geared up and ready to go. I'd sharpened my pencil. I was prepped for the PIP. The covering letter was headed Personal Independence Payment. It blah blahed on a bit about me acting on my daughter’s behalf, and I jumped to the form itself, to see if it tallied with the guidance notes and scoring system I’d been poring over. It didn’t. It was weird. It didn’t seem to match anything. It wasn’t exactly like the previous DLA forms I’d filled in, and it wasn’t like the PIP form I’d been expecting. What the hell was it? I went back to read more of the detail in the letter. And then I twigged what had happened. They’d flipped it. Or to be more precise, they’d faffed it. The telling phrase was as follows: “We’ve decided to gradually introduce Personal Independence Payment for existing DLA claimants into just a small area so we can monitor this new process.” Translation: “We’re hopelessly behind and the backlog is horrendous.” So what I’ve actually got is the old Rising 16s DLA form. And God knows when the PIP will pop up. So I suppose I'd better stop blathering on here, and get on instead with the new type of form that isn't exactly the new type of form I was expecting.